From now until the end of September, Hino will be offering a free integrated reversing camera for all models in the 300 series. 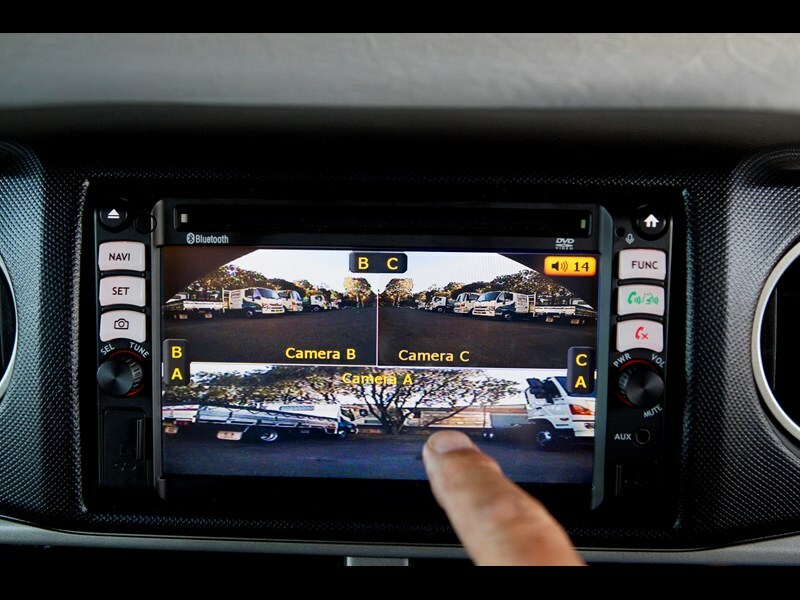 The integrated reversing camera works by sending a video feed to the 6.1 inch screen on the Hino multimedia unit, which is fitted across the entire Hino range. 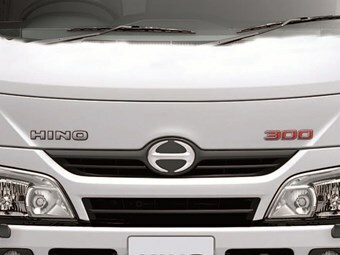 The camera also includes an infrared sensor that Hino claims will allow the driver to maintain awareness of their surroundings in low-light conditions. Cris Gillespie, the Hino Australia Manager for Marketing and Communications, says that "Hino has always endeavoured to make sure its customers and the public are as safe as possible in and around our trucks." "The 300 Series is the only light duty truck on sale in Australia to offer front under-run protection, a key factor in crash mitigation for accidents involving trucks and passenger vehicles," he added. The Hino multimedia unit includes a touch screen, DAB+ digital and anologue radio, CD and DVD player, USB and SD input, and is Bluetooth enabled. Other standard features include the Easy-Start hill-start system on trucks with manual transmission and High-Intensity Discharge lights, which produce more light than traditional headlights and have a wider beam. Automatic transmissions are also available for every 300 series model as an option. "This reversing camera offer is just another example of Hino Australia's commitment to truck safety," says Mr Gillespie. Hino Australia’s “Rate Breaker” finance deal has been extended until September 30 of this year.